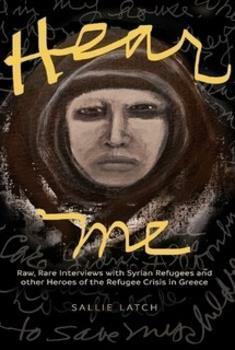 Hear Me is a rare collection of interviews with Iranian, Syrian, Pakistani, Afghan, and Iraqi refugees, Greek nationals, and international volunteers of the refugee crisis. Whether it’s a 19-year-old Syrian who refuses to kill anyone, a poor Greek housewife, or a disillusioned ex-U.S. Marine, all suffer in a geo-political world indifferent to their cries for peace and justice. As you read their stories in their own words, you will feel deeply their struggles to survive. You will marvel at their resilience when all odds are against them. You will rejoice to learn of those who ease their pain. You will experience a deep connection to these heroes that will reach for your soul and stay there. "Sallie Latch's interviews are very important work."